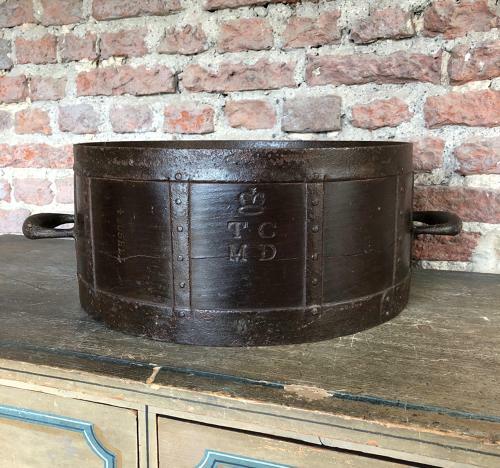 Victorian Iron Bound Half Bushel Measure. Really fantastic piece...superb colour. VR stamps and 1/2 BUSHEL stamps...the iron banding is in lovely condition and to the front there is a crown with TC MD underneath.